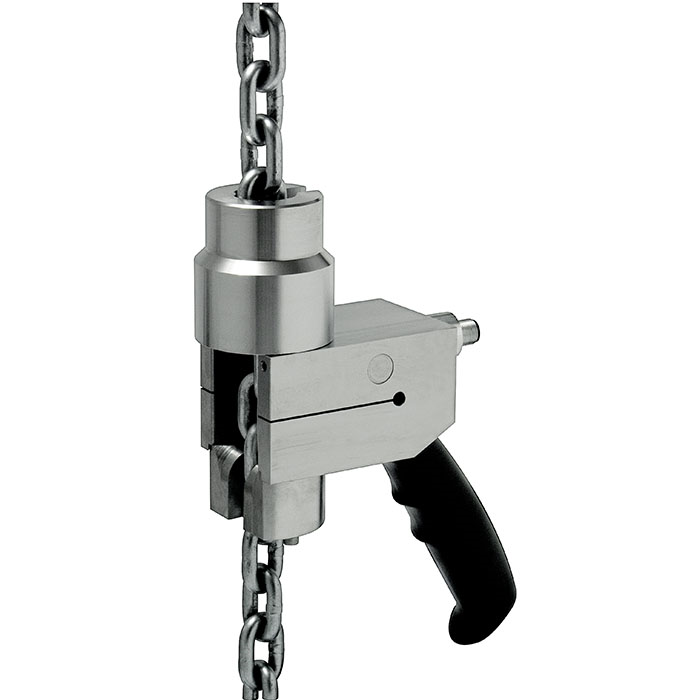 The FRKPS is used to test the friction clutch on chain hoists. The device consists of a force transducer with chain adapters and a display unit. To perform the test, the force transducer is inserted into the chain, travels upwards with it against the base of the chain hoist and thereby blocks the chain. The force transducer is built as shear beam and is therefore unaffected by parasitic forces and torques. The output signal is carried via cable to the hand-held indicator. To test every kind of chain hoist in the specified load range two chain adapters and three centering sleeves are required. The additional digital hand-held display unit has all the necessary functions to process the output signals of sensors and display the measured value directly. The large dot-matrix display makes handling particularly easy.